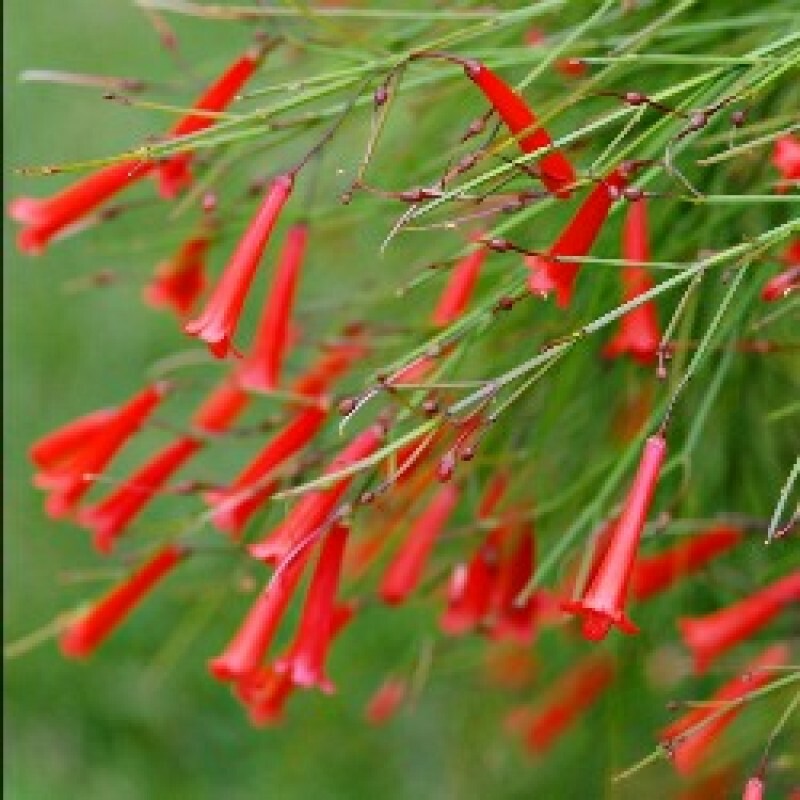 The narrow, tubular flowers are about 1 in (2.5 cm) long and cover the plant from late spring till fall. Actually, it can flower any time of year, given enough warmth and light. You'll get the most blooms by putting it in full sun. Moving it outdoors for the summer is ideal. It's attractive to passersby as well as to butterflies and hummingbirds. Water: Water thoroughly, allowing the top of the soil to dry out between waterings. Mature plants are drought-tolerant, so it's a good idea to keep them on the dry side. Temperature: Average room temperatures 65-75°F/18-24°C. If you move your plant outside for the warm months, don't worry -- it can take the heat. It's hardy in USDA Zones 9b-11. It won't tolerate freezing temperatures. Soil: Any good potting mix with a little added perlite or sand for quick drainage. Propagation: Take stem tip cuttings in spring.